Doin' it on the grass - again! 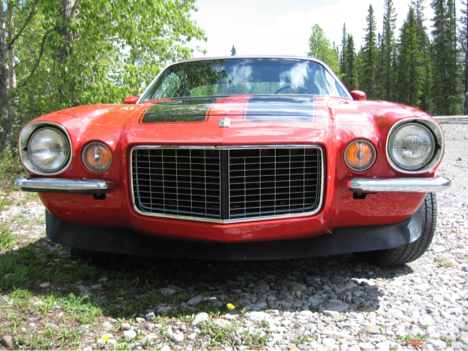 Current members have a variety of vehicles from hot rods to muscle cars and classic trucks to late model motorcycles. And someone is always willing to help out with an opinion, spare part or referral to an expert! Purchased in Dryden Ontario 1975. An original Canadian export car delivered to Sud Ford in Longueuil, Quebec on July 10, 1968. One of 21 GT-350s with this trim and color combination. Being an eastern Canada car it was pretty rough when I bought it. 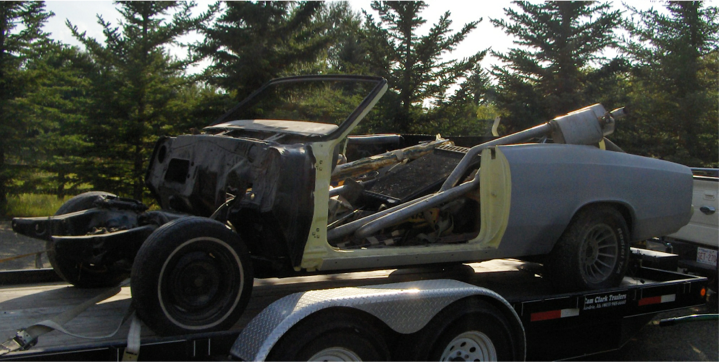 I drove the car for 2 years then parked it until I could gather enough parts (and money) to complete a reasonable restoration. I completed the first restoration in 1994, but at that time the access to original parts and quality reproductions was not readily available so several parts that needed replacement just couldn’t be done. In 2013 I once again disassembled the car, and over the next 2 years completed the upgrades I had always wanted to do plus a fresh paint job. The car is now basically complete with original, NOS, concours correct reproduction, or date correct parts throughout. It’s great fun to drive and I always enjoy sharing information with people at car shows that are interested in the car. 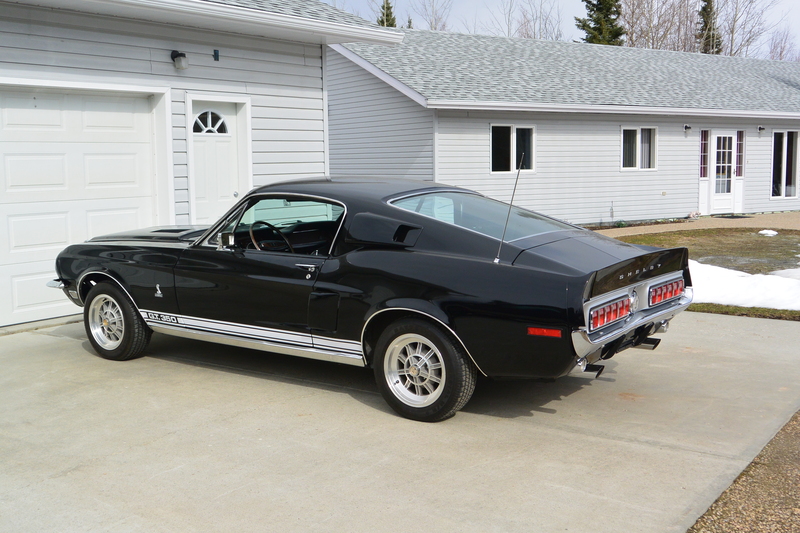 The mustang was purchased to compete in touring class in the Silver State Classic. To date we have competed 7 times, we drive down, compete in the race then drive back. Its a blast. 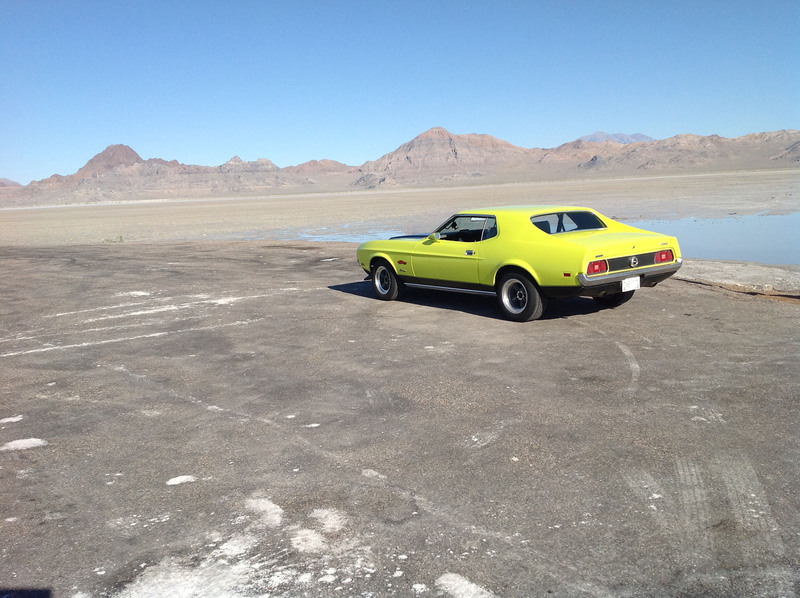 The picture was taken at Wendover at Salt Flats. 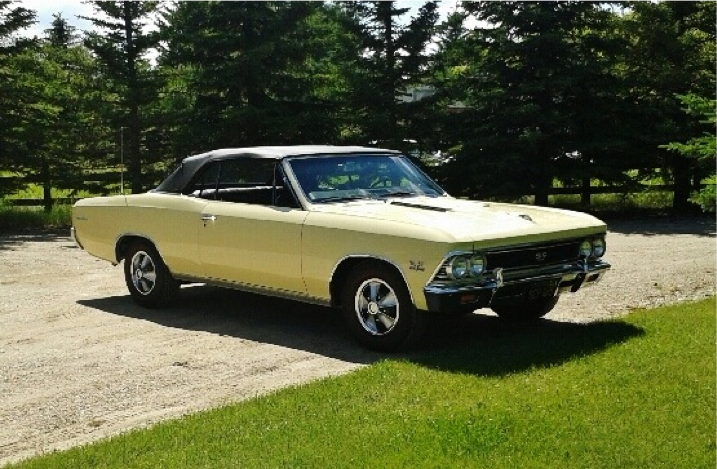 66 Chevelle Super Sport Convertible. I purchased this car in Saskatchewan in1993 from a friend of mine. 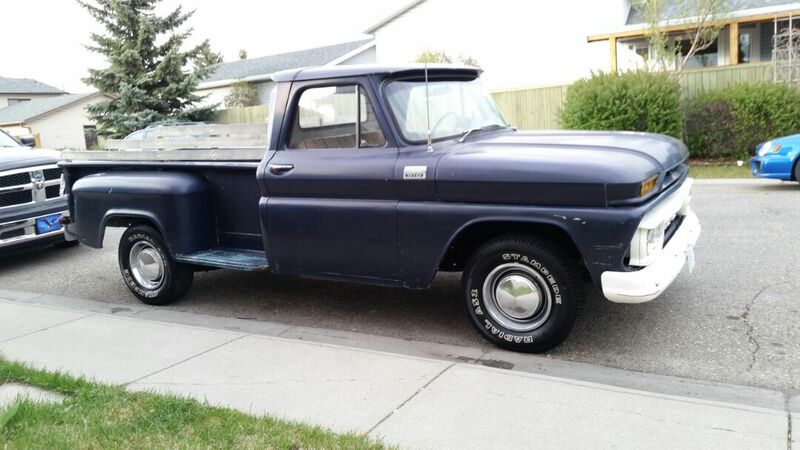 I brought it back to Airdrie with the intent to restore it, where it sat for a year or so. Another friend really wanted it and eventually talked me in to selling it to him. It took a couple of years to realize that was a mistake. My friend started to restore it. He took it all apart and got a shop to start doing some sheet metal work. A while later the shop was changing locations and asked him to take it home for a while which he did. The car sat in that state till 2009 when I talked him into selling it back to me. I started a full restoration right away and finished in summer of 2013. The car still has its original 325 HP 396 with auto transmission. There were just over 5300 big block convertibles produced in 1966. Blue 1971 Chevelle owned by Terry and Joy Elson. Used to be red but had it all redone and changed the color to blue. Two Door and she is in for a Face lift right now. Wendy & Mitch MacLeod have been Time Travellers Members since day one. 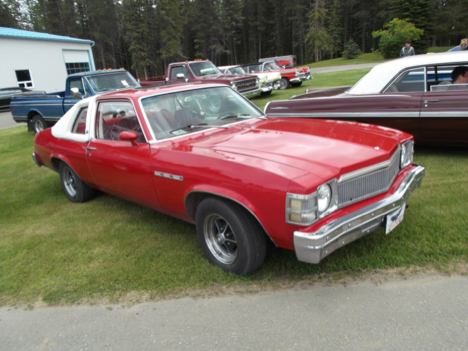 Found in a farm yard North of Cochrane Alberta, we purchased “Big Red” from its first owner in original condition. The last time it saw the road before we purchased it was in 1976 after which it sat in a quonset for 21 years. 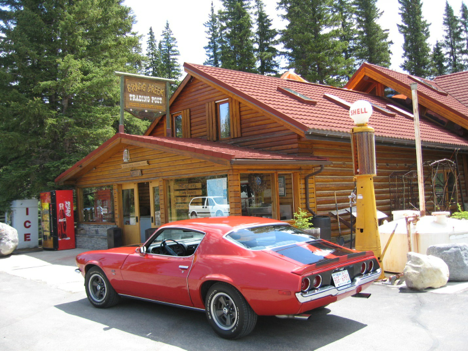 The car was completely original and came with a 283 V8 and a “3-on-the-tree” standard transmission. The original owner took very good care of it while it was in storage. The frame on restoration/re-creation project began in April 2009. 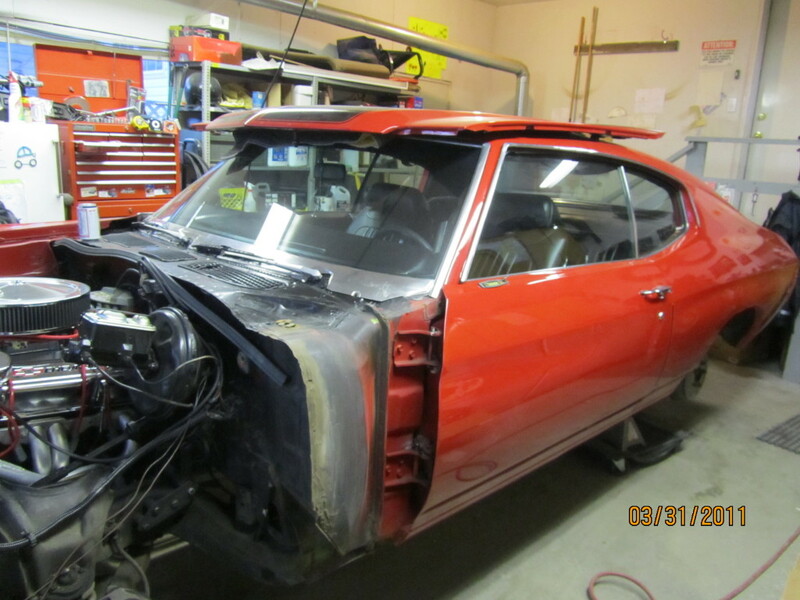 We started by having what little rust it had removed and having new panels fabricated. Currently, about 90% of the car still has original paint. In the areas where rust has been repaired the new paint was skillfully blended into the old. In 2008, after much searching, we found the 409 engine that now brings life to this old classic. 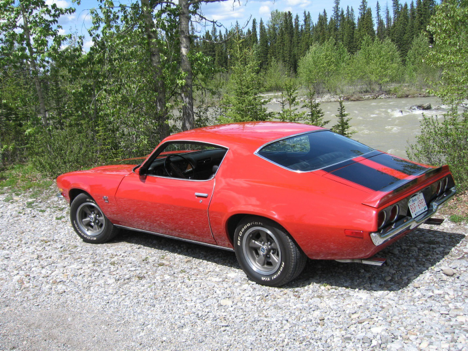 The 409 is a dual quad with headers and is backed up with a 5-speed Tremec transmission with overdrive. 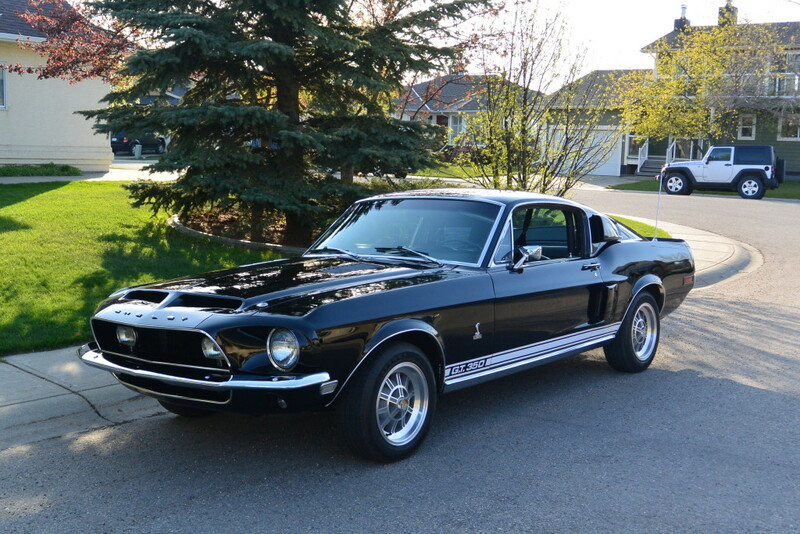 I ordered this car in June of 1968, and took delivery on Dec. 2, 1968. When I ordered it, I wasn’t sure what the ‘69 models were going to look like, except for some sketches in car magazines. I met Marlyne in 1974, and she learned to drive in this car, and passed her driver’s test in it. It was our everyday driving car until about 1975, when it became more of a nice weather car. I had the car repainted in early 1991, then got caught in a hailstorm in September of 1991, and had to have the car repainted again. 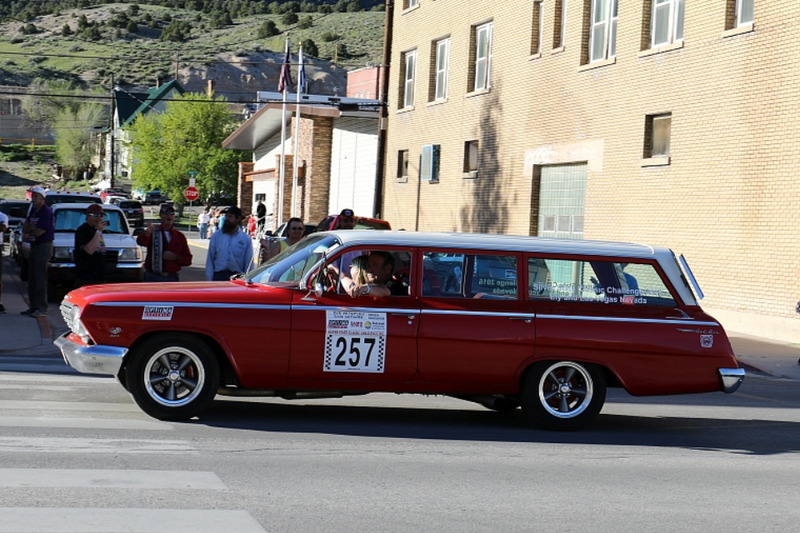 The car is now used mainly for evening and weekend drives in nice weather, and the occasional car show. Mercedes-Benz shipped its most powerful SL of the decade to the U.S. in 1986 – the 560SL. The car was also the heaviest of the 1971-89 R107 SLs that Mercedes produced. The new 5.5-liter V-8 engine handles the extra weight very well. Top speed was much improved from 175 Km/hr in the 380SL to 210Km/hr . It does 0 – 60 mph in 4 secs! I have owned the vehicle for just about a year now and it has the original paint job, radio cassette player etc. 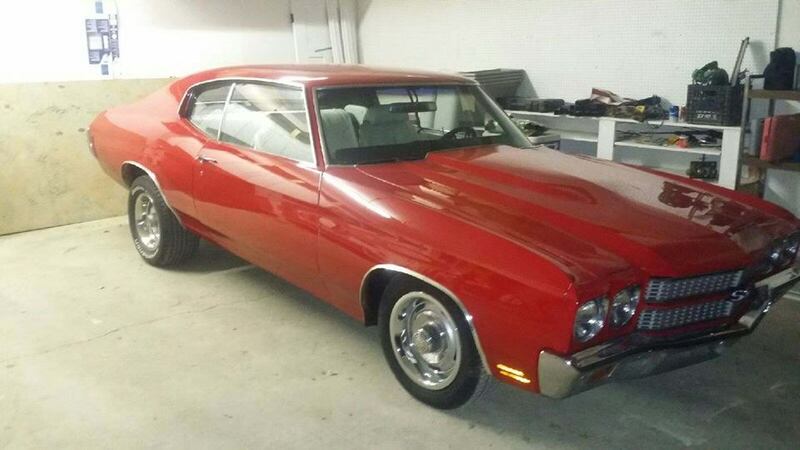 1970 Chevy Chevelle 461 big block 4 speed. I restored all of the interior of the car. I did the motor, transmission, rear end, suspension and brakes. It’s originally from Claresholm, Alberta area. I am the fourth owner of the truck. All original 6 cylinder, 250 hp. 3 in the tree. 50th Anniversary Edition; power cloth convertible top; optional removable hard top; select shift automotive 5-speed transmission; power tilt/telescope steering column; leather interior accent package. US delivered car and imported to Canada in 2011. We purchased it with 13,030 miles on the odometer. This model Thunderbird is a limited production model limited to a maximum of 100,000. It ended with about 68,000 of those actually built over the 4 year period from June 2001 to July 1, 2005. *Official end was July 1 but actual end was July 25 when the last 15 T-birds finally crossed the line. Production numbers for 2005 were 9,295 cars built. 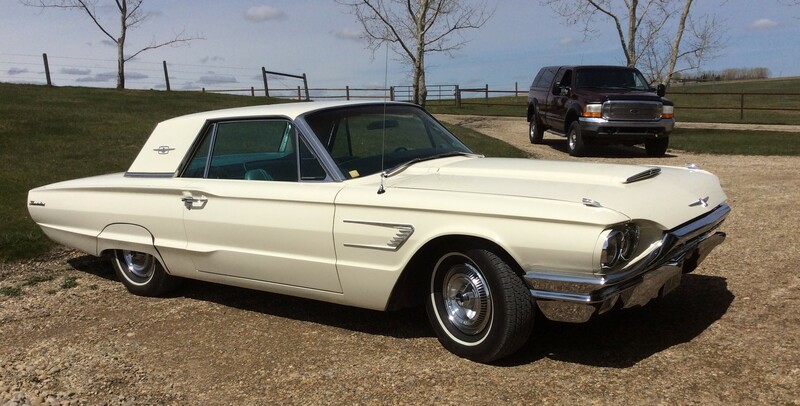 Some call it the Retrobird, others, the NEW Thunderbird, whatever it’s called, it’s a 2-seater cruisin’ convertible that Ford waited 45 years to build again.